In the first episode of 2019, I got together with St Louis Police Officer, Don Re. We talked about what the environment in St Louis is like for a police officer after having gained so much media attention over the last couple of years, as well as how he deals with being a cop by writing in his personal blog which you can find at https://donofalltrades.com. Don is a really interesting guy to talk to and I think ya'll will enjoy our conversation, despite my interviewing ADD which leads Don off track on more than one occasion, so come on in and enjoy the show and let's show Don the love so he'll come back and join me again! 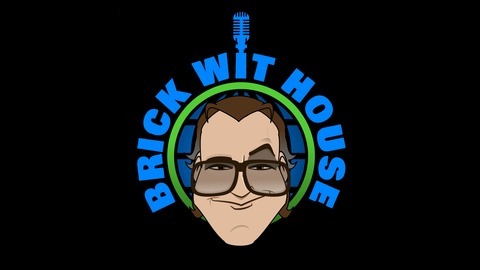 I'm looking forward to a lot of great, new things for Brick Wit House in 2019 and I have some great ideas moving forward. After my move back to North Carolina on the 31st of this month, I'll start putting those ideas in motion. Donate through Venmo, first name Brick, last name Withouse. 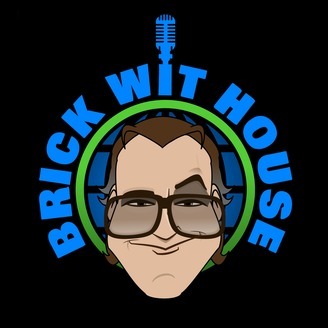 Finally, become a patron of the show by donating monthly at www.patreon.com/brickwithouse. Coming up very soon, there will be premium content available to all patrons that donate a minimum of $5 per month, including the cooking show I've been talking about for a while now, and also a couple of bonus podcast episodes each month. I will let everyone know once that premium content goes live, but don't be afraid to get in on it early! Please don't forget to take just a couple of minutes and leave me a 5-star rating on iTunes and any other platforms you listen to me on. It will mean a lot for the future of the show! Thanks to all of you for listening, and very soon, watching! I love all ya'll! !